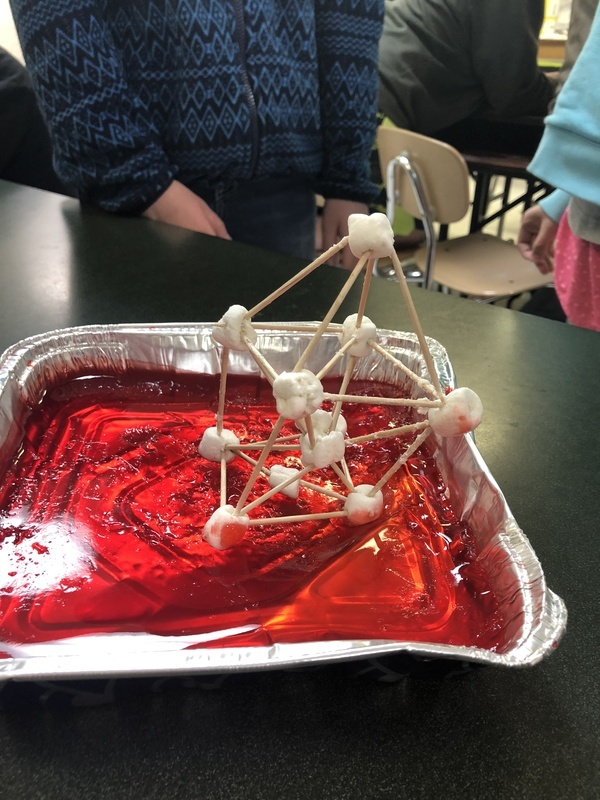 Ms. Blankenship’s 6th grade science classes have been learning about the Earth’s surface. 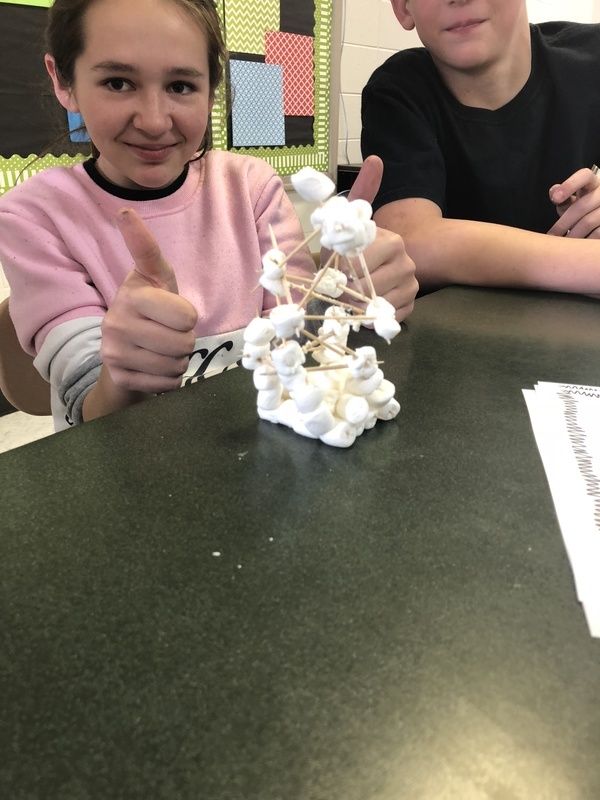 The unit’s topics included different types of rocks and how they form, the layers of the Earth, plate tectonics, the different plate boundaries, earthquakes, and volcanoes. 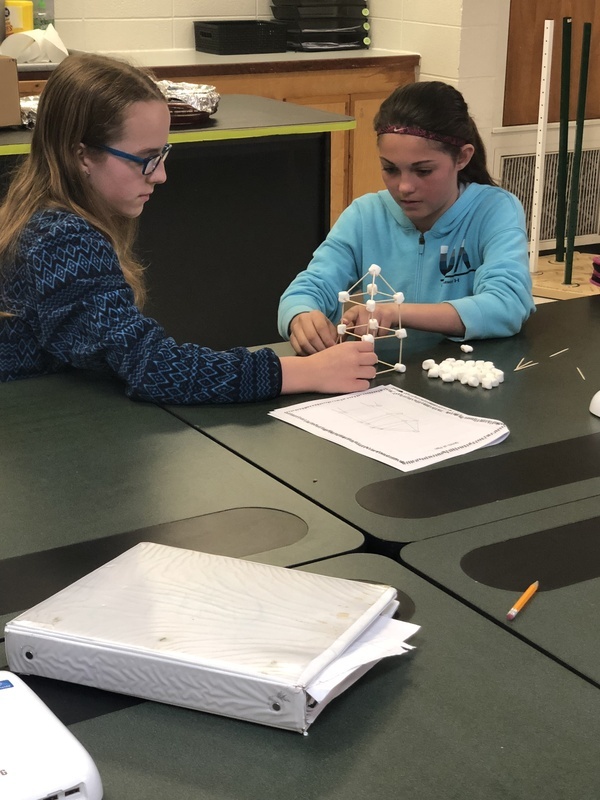 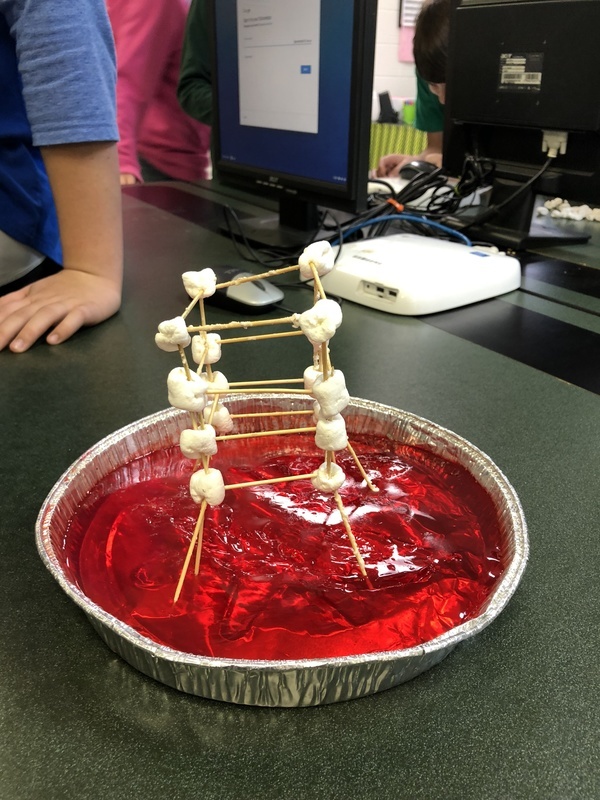 During this lab students were asked to work as engineers to create a structure that could withstand an earthquake. 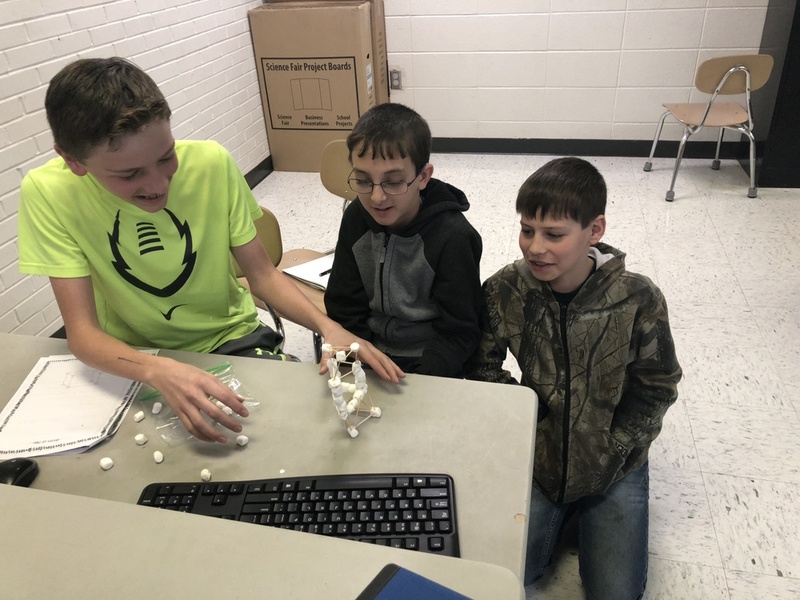 Just like real engineers students had to keep their project under a certain budget and were given a limited amount of materials. 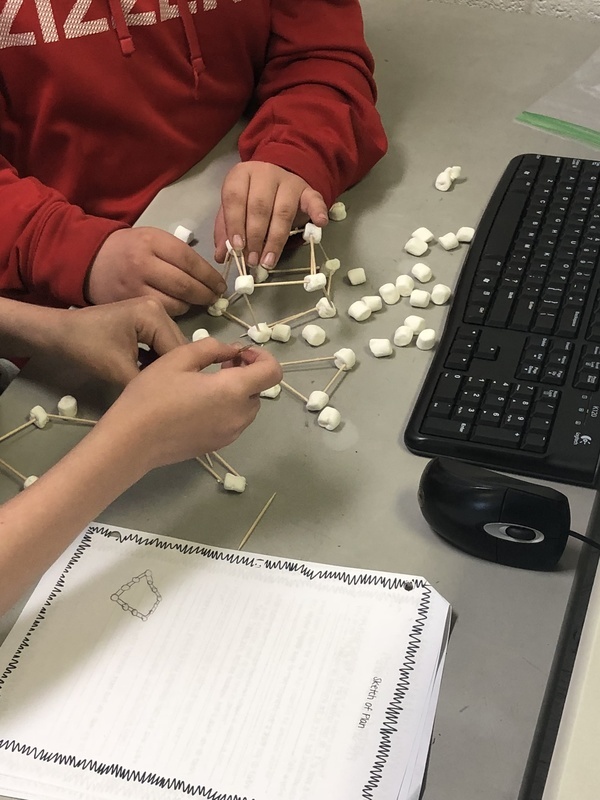 Students built structures using 3-D shapes, created out of 30 toothpicks and 50 marshmallows. 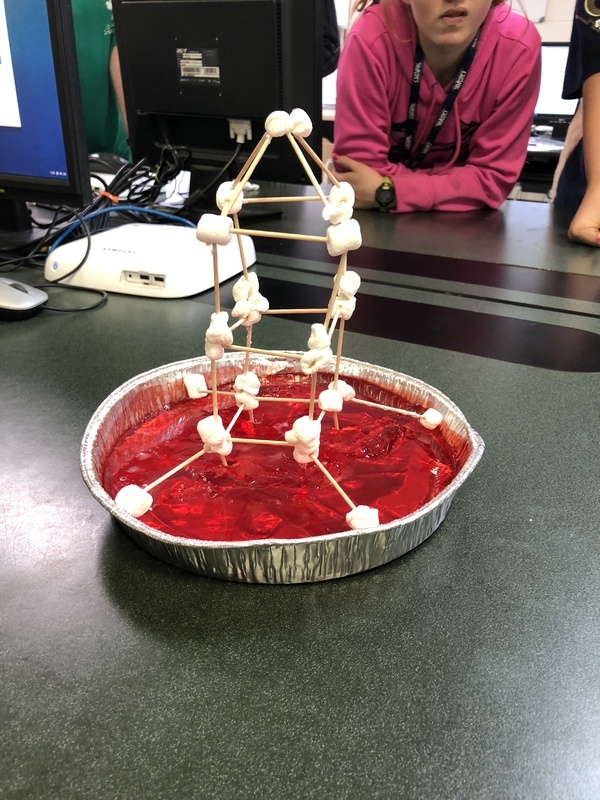 Once their structures were complete they were tested by placing them in a pan of Jell-O and shaking was added to simulate an earthquake.